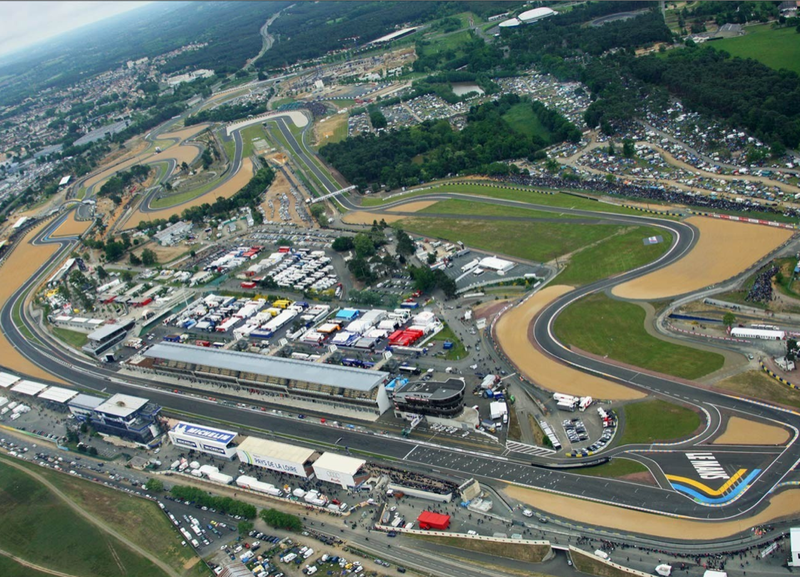 Bonjour everyone and welcome to Round 4 of the 2013 MotoGP World Championship, coming to you direct from Le Mans in France. Le Mans is best known for hosting a brutal 24 hour endurance race, where as France is known for not enduring but surrendering 24 hours into major conflicts. With this juxtaposition in place it was hardly surprising that the usually sunny French track was being drenched from above throughout the weekend. 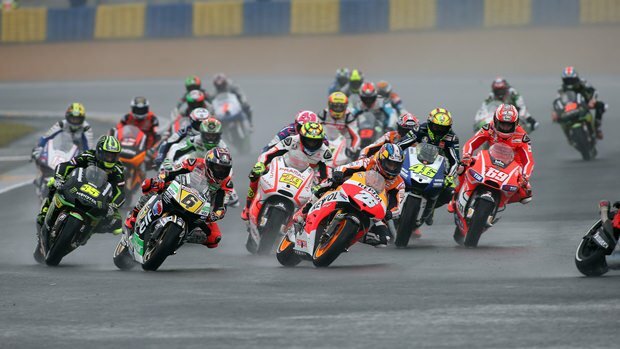 Not a problem in MotoGP as wet races are the best races. Qualifying had no interruptions weather or otherwise for most riders but it was Cal Crutchlow on the Tech 3 Yamaha who decided on interrupting the connections of his bones and ribs with a massive off during the session. Although the Tech 3 bike had hit the self destruct button, Cal was unperturbed and still managed to qualify in 4th position. A new definition of “hard” has been set in MotoGP. Up at the front the little Spanish superstar Marc Marquez put his Repsol Honda on pole, jealously followed by world champion Jorge Lorenzo on the Team Yamaha with *insert surprise music jingle here* Andrea Dovizioso on the Ducati in 3rd. With a Duke on the front row the medical staff were naturally inundated with the garlic-eating spectators convinced there were having delusional episodes. As the lights went out we began possibly the most enjoyable 12 laps of MotoGP I’ve seen in a long time. The person most intent on making his mark – and ensuring brains were leaking all around the circuit – was Dovi who shot to the front. Chasing him hard was the iPod nano of MotoGP, Dani Pedrosa, who powered his Repsol Honda passed his rubbish starting teammate. Dani and Dovi then started swapping the lead all over the circuit as neither could get a good rhythm going in the tricky wet conditions. This meant that 1st to 7th positions were all within a 2 seconds of eachother as Lorenzo, Crutchlow, Stefan Bradl on the LCR Honda, Nicky Hayden on the other Ducati and 8th in qualifying, but 1st in flamboyancy, Valentino Rossi on the Team Yamaha battled it out. In these conditions it was the lanky and likeable Italian who carved through the lower positions, finding himself in 3rd behind Pedrosa and Dovi. He wasn’t the only one carving though, as Cal “Nails” Crutchlow battled through broken bones and broken pies to catch the factory Yamaha. 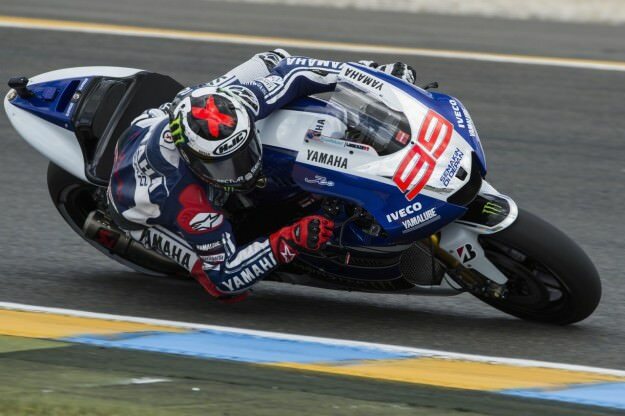 In stark contrast, Lorenzo was wobbling around like a 5 year old on his first training ride and alarmingly dropped through the order as the race progressed. 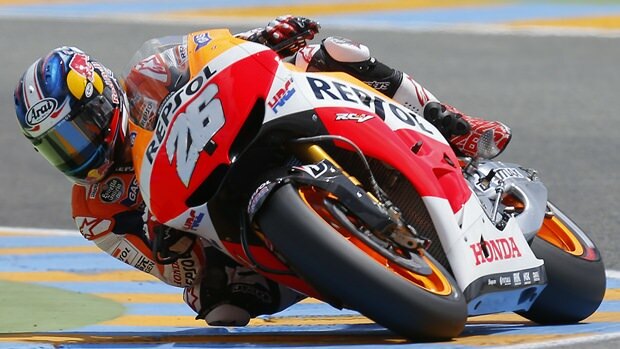 A dry line was starting to form by the half way point and it was Pedrosa who was adjusting the quickest. He made a final pass on Dovi and then started his trademark “lead from the front” super laps to grab back to back victories. Dovi who had successfully defied several physical laws by being in front for so long finally began to succumb to the nature of the Ducati and drifted back to the chasing Yamahas. It was Crutchlow who again showed sheer class by making a superb move on Rossi to claim third and then sweeping by a now struggling Dovi for second position. A busted knee, busted ribs, and his highest GP finish to date – nice work for the new GP hard man. Rossi struggled to hold Cal’s wheel, and then struggled to hold his own front wheel and slid off the track. He re-mounted but the podium challenge was over. It all looked rosy for the podium places, except for one thing. Marc Marquez. I have the same level of respect for this guy’s talent as I have utter lack of respect for the cheating French football team. Even though he nearly crashed twice Marquez just wouldn’t back off and was able to catch and pass poor Dovi for the final podium spot. An amazing effort, though I will say I played a lone violin for Dovi for missing that podium. At the CRT end it was once again the Power Electronics Aspar Aprilia of Aleix Espargaro getting the win mostly due to local hero and STR favourite Randy DePuniet dumping the bike. Luckily Randy gets to go to Japan to test the future Suzuki GP bike this week whereas other CRT riders will most likely continue to test their resume writing skills for next year. Next up is a Mugello. An iconic GP and hopefully, with dry weather and the resurgence of Ducati, we will get an iconic race.